This article was written for Little Day Out, a Singapore-based family portal. Little Day Out chats with I Theatre’s Artistic Director Brian Seward on the challenges of expansion for a local theatre company. Come July this year, the I Theatre production Round the Moon, Blue the Sky will not only be shown in Singapore, the play will also be making its rounds in Okinawa, Japan, and subsequently to Hong Kong in October. Round the Moon, which is a fast-paced production combining a unique blend of physical theatre, riveting puppetry, black light magic and lots of audience interaction, will be the first I Theatre production to tour the larger East Asian region. Speaking to Little Day Out, I Theatre’s Artistic Director Brian Seward noted that the play will involve the close collaboration of three actors - one from Singapore, one from Hong Kong and one from Japan. Working together for a short but intensive period of time, the three will first act in Singapore, and subsequently head over to Japan, Hong Kong, and then possibly to Kuala Lumpur in Malaysia. I Theatre has already expanded into Malaysia. 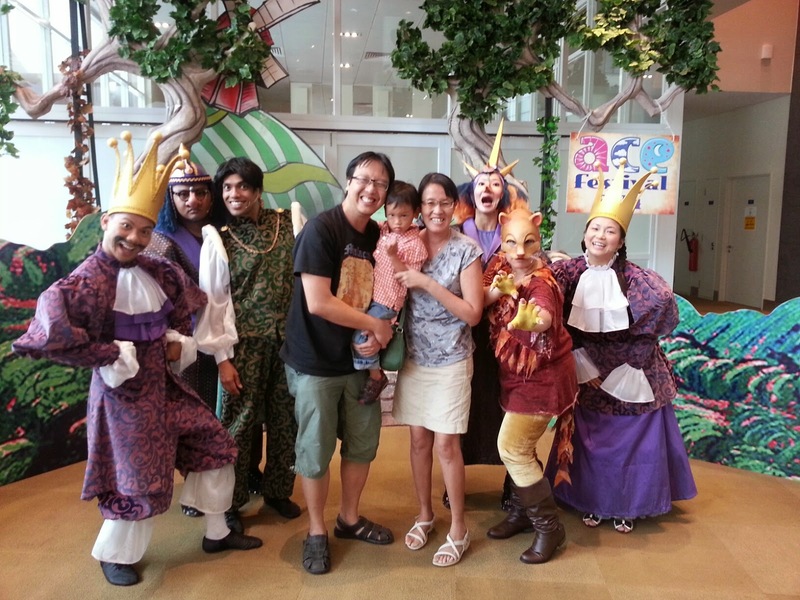 Earlier this year, the company took the local production of The Magic Porridge Pot to Kuala Lumpur. Partnering with Malaysian theatre company PJ Live Arts, I Theatre will also be taking its Puss in Boots production there. Executive Director of PJ Live Arts Diong Chae Lian told Little Day Out that the Malaysian audiences responded positively to The Magic Porridge Pot, and are eagerly looking forward to the next I Theatre production. She noted that I Theatre ensemble was very good in interacting with the different groups of children and their parents, and that the collaboration has been a positive experience. One challenge of taking a local production overseas has been the lack of Caucasian faces. Brian noted the societal perception that the production is not professional without a Caucasian face. While such a mindset appears to be parochial, Brian however commented that audiences are used to the major productions from the US and the UK, which are seen to be more “professional” than local plays. He however noted that local actors do have the professional experience overseas in the US and UK, and are as equally experienced as overseas actors. But the main advantage that local actors have over their overseas counterparts is that they understand local sensitivities, especially in areas that might be offensive to various local groups; something that overseas actors do not understand. Brian commented that I Theatre understands the local sense of humour and local culture, and these elements are incorporated into the productions. He shared that overseas productions sometimes cannot connect with the audience as they do not understand the local context. Round the Moon will make its rounds in Singapore from 21‐27 July. It is specially tailored for children from 2 to 8 years old; although older children and grown ups will also find the play to be amusing, enthralling and engaging. The original Little Day Out article can be found here.